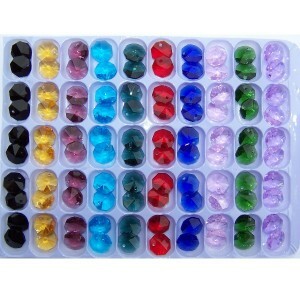 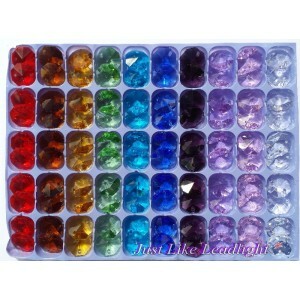 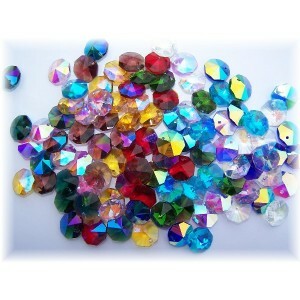 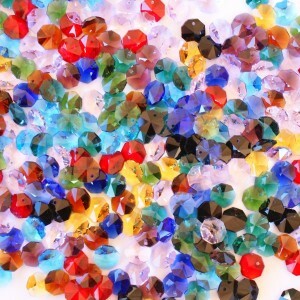 We have a large range of Octagon crystal beads and pendants. 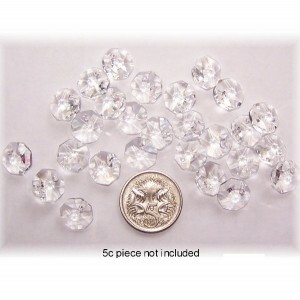 Sizes ranging from 10mm, 12mm, 14mm, 20mm, 24mm and 30mm with either 1 hole or 2 holes for hanging. 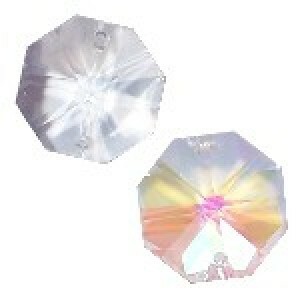 Agrade Coloured octagons are currently only available in 1 hole, Agrade clear and AB clear are available in 1 hole and 2 hole. 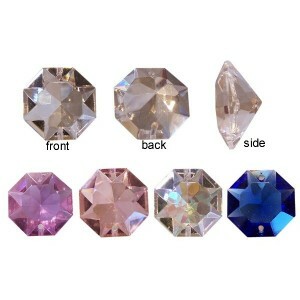 Grade 1 (budget quality) is hand cut to a budget price. 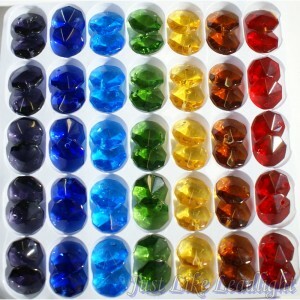 This grade may have imperfections in shape and quality. 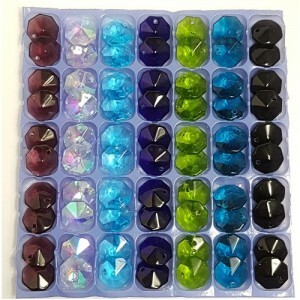 OCTAGON CRYSTALS 100 pieces per tray or choose single quantities colour- CLEAR or Ab Sizes 10mm..
OCTAGON CRYSTALS 100 pieces per tray size- 12mm with 1 hole only colour- assorted Grade A mach..
OCTAGON CRYSTALS Single quantities or full tray (100pcs) size - 14mm with 1 hole colour- assort..
OCTAGON CRYSTALS Single quantities or full tray (100pcs) size - 14mm with 2 holes colour- assor..
AB 14mm OCTAGON CRYSTALS with 1 hole 100 pieces per tray size- 14mm colour- assorted AB (aur..
OCTAGON CRYSTALS 70 pieces per tray (order in multiples of 10 preferred) size- 20mm ..
OCTAGON CRYSTALS 70 pieces per tray size- 14mm colour- assorted Grade 2 hand cut quali..
3D DIAMOND OCTAGON CRYSTALS (Clear,AB Clear, Blue, Pink, Lilac) 14 Piece mixed pack- 2 x 24mm i..
FEATURES- *quantity 70 (10 of each colour) *1 hole for hanging *size 12mm and 14mm *AGRADE machi..